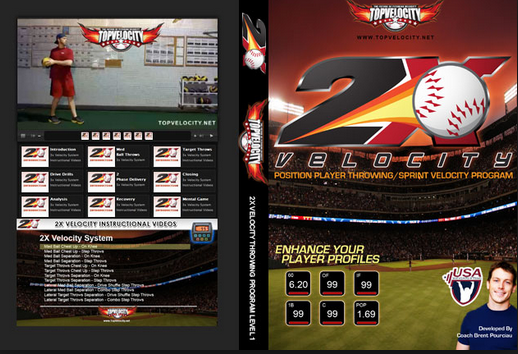 How Can You Increase Your Velocity as a Pitcher? If you’re looking to throw faster, you need pitcher workouts to increase velocity. How many specific workouts do you actually know that will help you improve your arm strength? First of all, velocity isn’t everything. If you throw 85 MPH and you have movement, that’s much better than throwing 92 MPH dead straight. If you can control your pitches and be efficient on the mound, that’s just way more productive than just throwing super hard. Click here to find out the best pitcher arm strength program to increase velocity. With that being said, velocity is the one measurable that we use today in baseball to find out the potential of a pitcher. So, it is very important. In addition, if you are a pitcher out there that can locate your pitches, create movement and keep batters off balance, then why wouldn’t you look for something out there that can increase your velocity? The truth is, I think a lot of baseball pitchers out there think that having high velocity is something that you’re born into. Some pitchers out there think that there’s a potential risk involved with “overworking” their arms. Here’s the deal, they’re right. However, if you train the right way and train your body to get stronger, more flexible, faster and more explosive then you’ll be able to gain velocity without risk. When you’re looking for pitcher workouts to increase velocity, you need to consider three things. To improve strength as a pitcher, you need to do exercises like squats, lunges and deadlift. These are great exercises to increase pitching velocity. These workouts make you stronger, more stable and able to control your body better. You’ll also need to improve your explosion. The best way to do that is to do plyometric training. Exercises that improve your explosion include plyo jumps, skaters, skips, and sprints. These workouts will make you more explosive. One of the best rotational explosive workouts is med ball training exercises. This mainly involves the twisting and turning (torque) of your mid-section, shoulders and legs. Then, explosively releasing the ball to either the wall or the ground floor. With this, you’re creating explosive rotational energy. This is one of the most important elements and what pitching is all about. Of course you want to keep researching and studying how to throw harder. However, you want to take action and start doing these pitcher workouts to increase velocity. In other words, get to work on this right now because that’s the only way to start getting results. Another key point is to find a program that shows you how to do it and follow that program religiously. Ultimately, this guide should get you in the right direction. In fact, if you’re looking to step up your game and follow a proven system that will guide you every step of the way, then this program is for you. 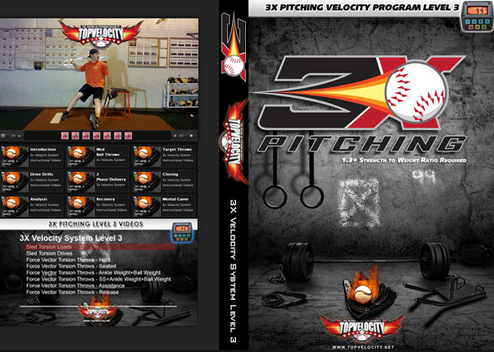 You are now on your way to really follow the best pitcher workouts to increase velocity!